The important key to meditation is not necessarily how you practice it, but that it facilitates an opportunity for you to be with yourself, to learn about yourself, and to heal in the process. A group in Boulder, Colorado, is using equine therapy to practice mindfulness and meditation to help those veterans suffering from Post Traumatic Stress Disorder (PTSD). The veterans are responsible for the care and upkeep of these horses, and benefit from riding them. The Fearless Victory Project is free to veterans. The Fearless Victory Project is designed to put veterans with PTSD back in nature, with horses, where they can practice mindfulness and meditative techniques that are scientifically proven to reduce the biological symptoms of PTSD,” says Executive Director Kathy Johnson. “Veterans form relationships with wild mustangs who have also faced their own trauma of being torn from their families, chased by helicopters and trapped in holding pens. When veterans help us train the horses, the horses act as therapists to the vets, and reciprocal healing occurs. Fearless and the other horses are a gateway into a quiet mind, more self-confidence and clearer thoughts for me,” Darby says. “The ability to take a step back and witness myself in the present moment gives me the awareness to make clear decisions, opening my heart to what is around me. While Colorado has many equine therapy programs, the Fearless Victory Project is the only one that uses mindfulness training to treat PTSD. Each 2-hour session involves 10 minutes of mindfulness meditation. The rest of the time is spent training the horses while incorporating mindfulness techniques. Director Kathy Johnson believes the therapy has long-term effects beyond the stable. Vets learn to apply mindfulness techniques to every day life. Veterans report having an easier time meeting new people and keeping friends after participating in the program. Watch this video of Denis Darby and Kathy Johnson talking about the program. 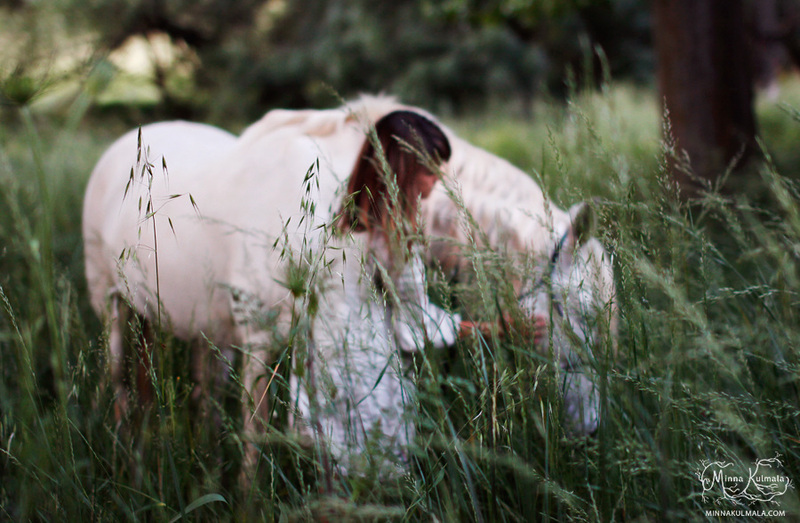 The horses are a great grounding, and a great way to look into myself and see my own suffering and see my own pain. And be able to face it. Working with the horses is a joy. Learning about myself every time that I come in contact with the horses is something that surprises me to this day. The post Mindfulness with Mustangs appeared first on About Meditation.